The struggles of India’s beleaguered real estate sector might end soon. A group of ministers on Friday batted for a cut in the goods and services tax (GST) rates on under-construction houses. At its first meeting here, the panel, headed by Gujarat Deputy Chief Minister Nitin Patel, favoured lowering of GST rates on under-construction houses, from 12 per cent with input tax credit (ITC) to 5 per cent without ITC. Similarly, it pitched for reducing the rate for under-construction affordable houses to 3 per cent without input tax credit, from the current 8 per cent. Some experts say this will lead to reduction of home prices by as much as Rs 3,00,000 for super built-up area of 1,000 sq feet. However, others believe the net benefit will depend on the percentage of input taxes forgone under the proposed regime. At present, GST is levied at 12 per cent with ITC on payments made for under-construction property or ready-to-move-in flats, for which completion certificate has not been issued at the time of sale. The effective pre-GST tax incidence on such housing property was 15-18 per cent. GST, however, is not levied property for which completion certificate has been issued at the time of sale. There have been complaints that builders are not passing on the ITC benefit to consumers by way of reduction in price of the property, after the roll-out of GST. Officials said the report of the panel will be finalised within a week, and be placed before the GST Council in its next meeting, the date of which is yet to be fixed. Patel told Business Standard the committee will recommend lower tax on these two categories. This, he said, will help both the industry and consumers. Further, the Centre and states will collect a larger sum as GST as more houses get sold, he said. "All this will lead to generation of more employment in the realty sector," Patel hoped. The panel was set up last month to analyse tax rates, issues and challenges being faced by the sector under the GST regime. Last month, Prime Minister Narendra Modi had reiterated his plan to bring down GST rates for under-construction houses to 5 per cent. “We wanted to do that but there were reservations. So, the GST Council could not do it, and it has now gone to the committee. We will try to ensure the committee’s report is expedited,” Modi had said. If flat 5 per cent GST is levied, a buyer will save Rs 3,00,000 on property with super built-up area of 1,000 square feet (carpet area 780 sq ft), and priced at Rs 6,000 per sq ft, said Anuj Puri, chairman of Anarock Property Consultants. Any cut in GST should reduce the adverse impact on the land abatement rate, which is 33 per cent under the present system. 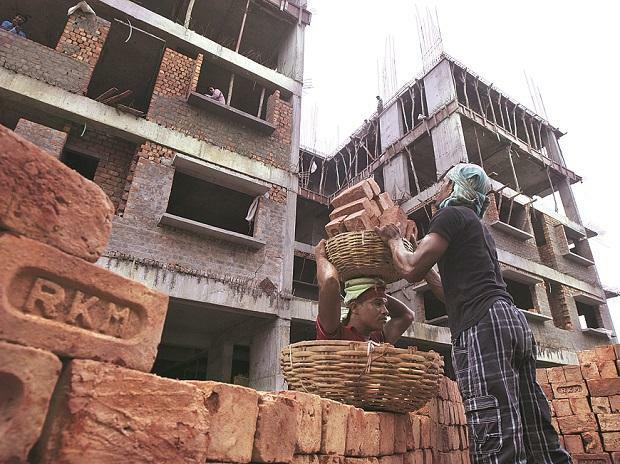 “The composite rate of 5 per cent will not only address the imbalance under the present regime — which applies to under-construction projects but not to completed units — but also free the industry from the requirement of filing monthly returns to avail ITC, which is cumbersome,” said Jaxay Shah, president of industry body Credai. Shishir Baijal, chairman and managing director of Knight Frank India, said lowering the GST rate will breathe a new life in to the sector. “The existing regime has been a major deterrent for sales in under-construction projects. This could be a vital link in the recent chain of events, which include incentives of the interim budget and the rate cut by the RBI,” he said.